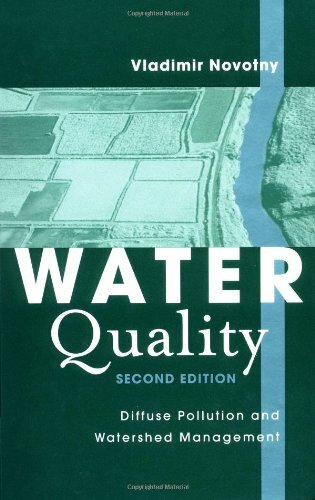 Published in 2002, this is a foundation book within the twelve books on Water that I am reading, with all reviews both here and at Phi Beta Iota the Public Intelligence Blog where you can easily use Reviews/Water to see all my reviews of books on water. Right up front the author impresses me with her discussion of the paradigm war--a culture clash--between those who see water as sacred and its provision as a duty for the preservation of water, and those that view water as a commodity and its exploitation for profit as a fundamental corporate right. 01Nondemocratic economic systems that centralize control over decision making and resources and displace people from productive employment and livelihoods create a culture of insecurity. 02Destruction of resource rights and erosion of democratic control of natural resources, the economy, and means of production undermine cultural identity.See my reviews of the Hidden Wealth of Nations, Identity Economics, and The Politics of Happiness. 03Centralized economic systems also erode the democratic base of politics. I am sure she sets people off when she speaks of the "double fascism of globalization" as well as "corporate terrorism" but the bottom line is that corporate control of government is fascism, and its time We the People woke up to all the wrong that is being done "in our name. "Those who really understand ecological economics as pioneered by Herman Daly understand that "true cost" is the measure, and that the truth at any cost reduces all other costs.This is a book of truths, including the truth that the computer industry is a bigger water polluter than traditional companies. 02Water is essential to life. 03Life is interconnected through water. 04Water must be free for sustenance needs. 05Water is limited and can be exhausted. 08No one holds a right to destroy. The author skirts topics covered in more depth in such books at The Next Catastrophe: Reducing Our Vulnerabilities to Natural, Industrial, and Terrorist Disasters; and Acts of God: The Unnatural History of Natural Disaster in America, so this is by no means an end all book, but it is a foundation book.We are the ones responsible for environmental degradation including the paving over of wetlands and the damming of rivers as well as the ignorant and complacent externalization by corporations of all environmental costs of water exploitation they do not own and should not be allowed to expropriate. Chapters on the global corporate control network including the World Bank, and on the unsustainable costs of industrialized agriculture.Her final two chapters (this is a short book, quick read, excellent notes) focus on the importance of both indigenous knowledge in conserving every drop of water, and on the importance of assuring that natural resources are properly valued and not just commoditized with financial values that are at best arbitrary if not downright corrupt.I am reminded of both 1491, and of E. O. Wilson's The Future of Life. Resource scarcity has been the basis of arguably most of the world's deadliest and longest-lasting conflicts. From wars waged in the Democratic Republic of Congo over precious minerals to multinational conflicts between countries along the Tigris and Euphrates, the access and control of resources have been causes in substantial loss of ecological integrity and human lives. 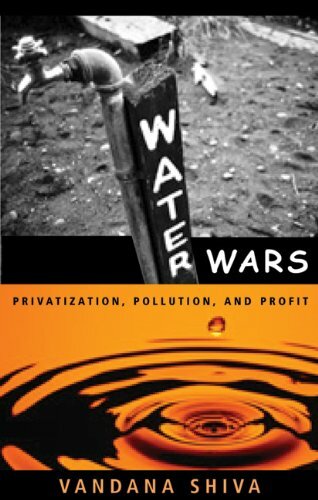 In her book Water Wars: Privatization, Pollution and Profit, Vandana Shiva demonstrates the deadly effects of current water resource management practices and the "water wars" that have risen from recent policies. Shiva defines water wars as being either a traditional war, fought with weapons and strategy, or a paradigm war, a subtler conflict with deep roots in socioeconomic systems. In an expressive manner, Shiva introduces the recent water problems as rooted in major shifts in the management of this resource. The first chapter sets-up the dichotomy between the traditional management of water and a market-based approach to resource ownership. According to Shiva, "more than any other resource, water needs to remain a common good and requires community management" (19). In her home country of India and in many other traditional societies throughout time, this was, and in a few remaining cases, is still the wisdom that dictates the use of water. A change in management principles, from a communally-held necessity to a privately-owned commodity, lead to the complete disregard of inherent human rights. People began to take a backseat to corporate interests, and Shiva structures chapters 2-5 as forum to analyze how the alteration of management has led to intense conflict. Broad topics she expands upon in this section of the book include climate change, the diversion and damming of rivers, the production of food, and large international governing organizations such as the World Trade Organization and the World Bank. All of these chapters reassert how power in managing water has shifted from many hands to an elite few. Like in all wars, the conflicts presented here describe the definite threats to their security and livelihood with the loss of their personal control. Water Wars is well thought-out and sincere approach to current water crises. My attention was held the entire time through the clever interplay of anecdotes, case studies, and hard science. The struggle between traditional systems and capitalism remained a pervasive theme throughout the book, and examples of injustice and abuse were constantly emerging. There were times when I had to put the book down because my sentiments and emotions were on high alert; Shiva uses her grace and knowledge to present issues from India, a place so near to her heart. Still, it goes without saying that this book definitely lacked as a piece of academic literature. Although this was a very impassioned and comprehensive book, I found Water Wars to be written rather haphazardly and with little regard to academic integrity. Even though it is only 139 pages, the book manages to become rather redundant by the end. Shiva never maintained an unbiased approach to the topic, making it a heavy-handed ridicule neocolonialism. I sometimes felt as if I were listening to a broken record. Yet, her solutions for altering the way we manage water are inspiring, calling for citizens to become engaged in the fight towards gaining shared power of natural resources. Shiva also does an excellent job of weaving in cultural and spiritual attitudes towards water bodies. In conclusion, Water Warsby Vandana Shiva is a thorough investigation of the social justice issues that surround the administration of water. It is an excellent text for someone desiring a positional account of resource allocation and management, as well as an involved activists perspective on the topic. This book, however, is not a stepping stone into the scientific and academic assessment of water crises; it is far too loaded with personal voice and opinion to be considered a candidate for unbiased literature. If you are in the market for a book on sensational water politics, then look no further. After reading Water Wars and going back through some things in the book I believe that many people will find this book interesting and informative.Shiva seems to believe that the root of all these wars is our disconnection from the water.We turn on a faucet and voila, water.Who cares where it came from, how much there is or where it's going.Now, take that and mix it with socio-political-economic factors and you can see why we are just beginning to see the emergence of water wars. Those looking for any sort of solution towater wars should look elsewhere.She has the grassroots mentality that water need not be privatized but run and managed by the people who use it.I fully agree but the problem remains this is simply impossible for the majority of systems already entrenched. Ultimately, if you have an interest in the state of water on a global scale this is a good book to get you started and asking questions. P.S. I believe John Wesley Powell was quoted out of context on pg. 54.I have a hard time imagining that Powell said that rivers are wasting into the sea in the context of we should dam the Colorado. the global water crisis is the biggest issue we will face in our lifetimes and not much is being done. This book puts things in a human light and makes solutions seem possible. 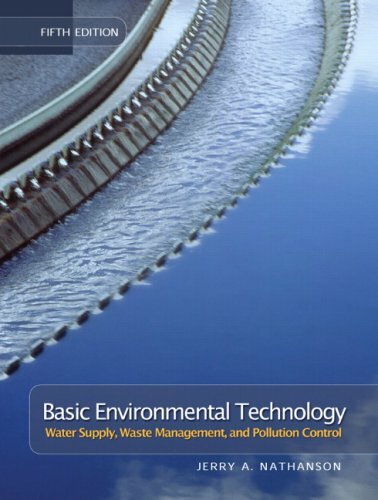 This book provides practicing engineers with water-based environment engineering from theory to practice by presenting the principles of water treatment, wastewater treatment, water reuse, water quality, and overviews of regulations regarding pollution control and drinking water quality. The Eighth Edition features new and updated coverage of GIS, climate change, alternative water supply development, hydraulics, stormwater treatment techniques, water quality regulations, filter design, and more. Recognizing that all waters are potential sources of supply, the authors present treatment processes in the context of what they can do, rather than dividing them along clean water or waste water lines. For practicing engineers who need a good reference book and for those preparing to take the examination for licensing as a professional engineer. TONS of typos - from grammatical to vital data and labels in example problems. Following such problems is extremely frustrating at times. Lots of things are not explained before they are referred to, causing you to go to the index and find the explanation and flip back and forth. Some things are referenced and never explained at all - including data used in solutions to example problems. Very Informative, missing a little on rapid mix basins but the solids handling part is very extensive. in your tap water? Flouride? Chlorine? ablity of good drinking water is in question. For the reader who currently knows nothing about water contamination and purification, this is a decent book, since it provides some eye-opening information.However, there are better books out there, depending on what you're looking for. 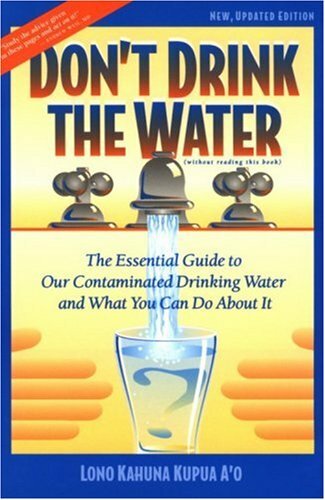 For specific advice on water contamination and safe water alternatives, including bottled water and home purification, I recommend Colin Ingram's "The Drinking Water Book. "It has more information and a better format, including a simple chart that rates the effectiveness of different home purification methods for eliminating different contaminants (something this author didn't include). If you're looking for something more political, buy "The Sierra Club Guide to Safe Drinking Water. "This lists specific steps to improve drinking water on a larger level, including political action and people/agencies to contact.It also includes a list of major U.S. cities and their violations of water purity regulations.Finally, it lists the EPA drinking water standards in an appendix.Of course, it also includes advice on safe water alternatives, but this is not as extensive as the recommendations in The Drinking Water Book (see above). I just got finished reading this book in between classes, and all I can say is WOW!Be aware, and beware of your tap water.If these statistics are correct, then the EPA and the U.S. government are not concerned withprotecting your right to clean water, and therefore, you must educateyourself in order to protect against degenerative disease. This book is a great start finding out the truth of thematter. Toxins are everywhere!We all need to learn where they exist andremove them for our own and our childrens sake. Someday, a high rankingofficial on TV may review this book, or a similar subject and try and spinthese numbers a certain way to make it not sound so bad, but don't befooled.Statistics seldom lie.Only politicians do.Politicians can comefrom any field, not just government.Politicians come from industry,medicine, lobby, and big business etc.Be a detective, and look foranything that doesn't make sense. "The Truth is Obvious, EverythingElse is Questionable"
Read this book! It contains vital information. This book is certainly a very factual and "blunt" book about the seriousness of our domestic water quality.With the coming "Y2K" event on the horizon, I believe Lono A'o's comments are even moreappropriate and noteworthy.I have given this book a 5 star and I amgiving serious thought to making this book a required reading for all thestudents in my Environmental Studies class at New England College.That'show serious I believe the issue is. 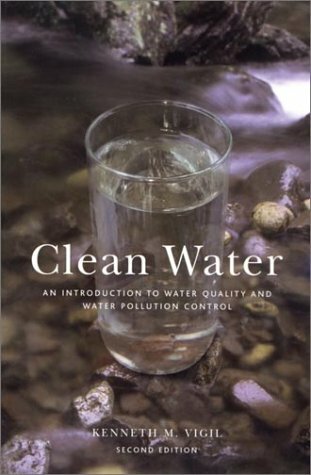 "Clean Water" is a book for anyone who is concerned about this precious resource and wants to become better informed. In straightforward language, Kenneth Vigil provides a comprehensive introduction to the many scientific, regulatory, and geographic issues associated with water quality and water pollution control. 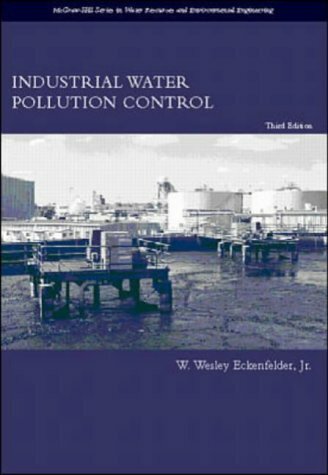 Most other books on water quality and pollution control are highly technical and very specific, and are aimed at engineers, scientists, or attorneys. "Clean Water," on the other hand, is a comprehensive discussion of the subject intended for a wider audience of science students, educators, and concerned citizens. Using photos and diagrams to illustrate and explain concepts, Vigil provides sufficient detail to educate readers about many broad topics and includes additional references at the end of each chapter for exploring specific topics in more detail. Simply the best book on mine water treatment. Period.I have been a consulting engineer dealing with environmental problems for over 20 years now - and this is my "go to" book on the subject. Yes, there is a high reliance on empirical equations...But the reality is that most data sets in the mine water remediation field do not allow a more detailed analysis. Globally, the mining industry is grappling with a huge paradigm shift as remediation costs are increasingly internalized as part of the "cost of doing business" rather than a cost that can be (hypothetically) externalized and avoided.Mine waste projects typically deal on time scales of decades and centuries and this is where natural treatment solutions (like the ones described in this book) really come to the forefront. If you are in the mining industry, or deal with mine wastes, you need this book on your shelf.If a better book can be written, I welcome the authors; otherwise I would consider this to be the best that can be written on the subject without a quantum leap in data collection. Simply the best in the field; there are no encores. 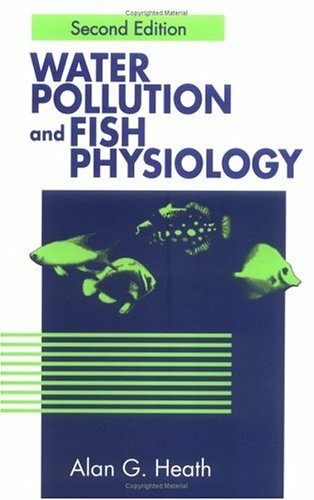 Provides all new material on urban, industrial, and highway pollution, as well as on management and restoration of streams, lakes, and watershed management techniques. 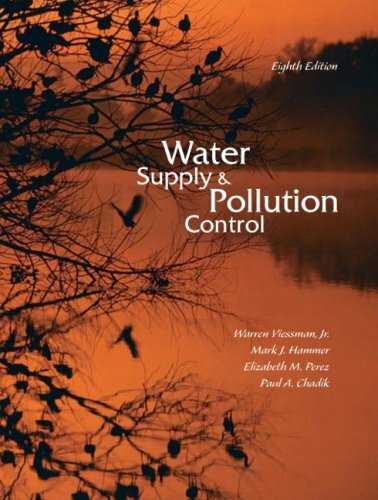 * Includes revised chapters on agricultural diffuse pollution; control of urban, highway, and industrial diffuse pollution; and wetlands considerations. there are a lot of typo and unit errors (this can be misleading to students). i got no choice , to buy this book as my text book. this book is good but not so many examples of problems to further understand it. explanation is also not well elaborated on some topics. (students need more explanation to understand). no exercise included to try. the contents are good though. This book is too expensive for a lot of errors and no examples/exercise. a moderate rating! Awesome product, fast delivery, sweet price! Great product and the price was $125 cheaper than what I could have gotten it for at the university bookstore. Like the seller said, some slight markings in pencil every now and then, but their no biggie. Im real satisfied with this experiance. Especially being that it was the first online book purchase I have ever made. The book is as described. The book is as described ,but took almost 20 working days to get this book.otherwise no complain. The book was brand new and got here in three days.Cheaper than the bookstore and the wait was very short. As teacher of an Environmental Engineering course (at Ariel Academic College, Israel) and as consulting engineer, I find the book useful, but... Some areas are weak: Population and demand prognosis, Resource planning, Economic evaluation and optimization, Advanced water treatment (membrane and ion exchange technologies, for example), Desalination of brackish and sea water. Each chapter has a well explained exercise, a very useful feature, but most are non metric. All in all, I know of no better textbook, and it is worth its money. Water is a curious thing, observed the economist Adam Smith:although it is vital to life, it costs almost nothing, whereasdiamonds, which are useless for survival, cost a fortune. InWater, Canadian journalist de Villiers says the resource isstill undervalued, but it is becoming more precious. It's not that theworld is running out of water, he adds, but that "it's running out inplaces where it's needed most." De Villiers examines the checkeredhistory of humankind's management of water--which, he hastens toremind us, is not a renewable resource in many parts of the world. Oneof them is the Nile River region, burdened by overpopulation. Anotheris the Sahara, where Libyan ruler Muammar Qaddafi is pressing anambitious, and potentially environmentally disastrous, campaign tomine deep underground aquifers to make the desert green. Another isnorthern China, where the damaging effects of irrigation havedestroyed once-mighty rivers, and the Aral Sea of Central Asia, whichwas killed within a human lifetime. And still another is the AmericanSouthwest, where crops more fitting to a jungle than a dry land arenursed. De Villiers travels to all these places, reporting on what hesees and delivering news that is rarely good. The first question I asked before reading this book was, "Is it up date?". I still don't know the answer. However, I did read the revised edition (2003 vs the original 1999 edition) and would definitely recommend the revised, as there does seem to be a lot of updates and overhaul. The revised edition is at least 50 pages longer, although it leaves out a nice chart summing up the numbers, in the appendix of the original, comparing the per capita and overall amounts of water available to each country (which was somewhat misleading anyways). The book structure is as follows. After the introduction, the first half of the book introduces various issues. The natural cycle of water, water sources, how much water there is overall, climate change, polution, dams, irrigation, etc. The second half of the book is divided into geographical sections, detailing the water crises in the middle east, northern and southern Africa, the Indian subcontinent, North America. Europe and Russia are mentioned as examples earlier in the book, but don't get their own section. The final chapters, of course, focuses on possible solutions and outlooks. I liked the writing. Of course, there are too many meaningless numbers (to us laymen), and that's inescapable, but the word flow in between helped considerably. I found he was fairly balanced, that he included the viewpoint of dissenters. At times I found I disagreed with him, but there was enough balance overall. I did like how he often came back to the point that world overpopulation was a huge factor. As a Canadian, I enjoyed the section on North America, and came to realize that Canada isn't necessarily as water-rich, or responsible, and our water isn't as clean (especially out east) as we've come to believe. Bulk-water exports, on the minds of many Canadians, is discussed, but while I found it interesting and sobering, I didn't always find his conclusions to be particularly convincing on the subject. I like how many different areas of the world are looked at in depth and how international boundaries rarely lining up with natural watersheds has caused so many problems. Overall, I quite liked the structure of the book. Here are my concerns. The author doesn't seem to believe that humans have heavily influenced climate change. Luckily, however, this doesn't seem to affect the book as much as you'd expect. I wish he'd explained desalination earlier in the book and I don't think he goes far enough into detail as to the potential ecological drawbacks of it. I found a lot of the ingenuities and recent developments to be crammed into the last chapter, without enough time for reflection, which only adds to wondering what has changed in the last 7yrs since 2003. Also, he talks about both sides of the water privatization issue, but I don't feel as though he really fully explored the issue, from all angles. Also, he mentions a lot of huge projects over the years that were disastrous, though he seems to admit, between the lines, that there may be room for more of these in the future. Also, I wish there was at least one basic map for each geographic chapter. Would've helped me visualize much better. In the end, I enjoyed the book overall, and haven't heard of anything better to recommend. I did enjoy reading it and was certainly left with some questions and concerns, but I think overall, you wouldn't go wrong reading this as your introduction into world water and its politics. Marq de Villiers' Water: The Fate of Our Most Precious Resource combines both well researched information and personal experiences to produce a book that delves into an issue that is hard to face, on both a region specific level and on a global scale - the increasingly limited amount of water resources we are able to use.de Villiers is a journalist that has worked as an editor and foreign correspondent.He now primarily writes books on scientific topics. 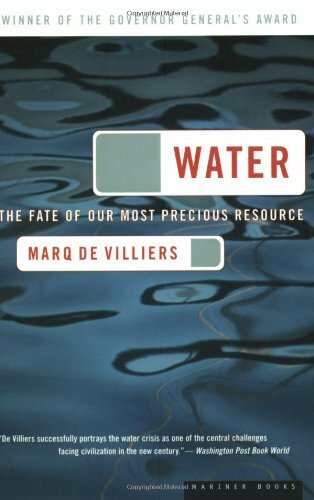 Water is a revealing book that gives the reader a general yet comprehensive understanding of where the overpopulated and industrialized world we live in gets its water.de Villiers also gives a general status report in terms of what water resources we currently have and what condition those resources are in (is the water even usable? ).Though, as de Villiers states, "Water supplies in the Nile Valley itself - the cradle of civilization - are in peril" (2, p.14).Water calls for a sense of urgency in addressing the ever-looming problem of increasingly limited resources, namely water. One prevalent point that de Villiers repeatedly articulates is that the amount of water resources on the planet is not decreasing; rather, the global increase in population stresses already stressed water-scarce regions and threatens those regions where water scarcity is just on the horizon.He asserts that "population is the principal culprit.The mass exodus of refugees to Gaza after partition in 1948 more than tripled its population, which is now grown to almost to a million people...Gaza has one of the highest growth rates in the world...as a result, per capita water availability has decreased dramatically" (2, p.202). Water is split up into four parts.The first is to inform the reader of all the stats about water and where it is scarce and where it is abundant, now and throughout history.Part two focuses on how the human factor has restructured and contaminated the water of the world (i.e. damming rivers, using up aquifers, human caused climate change, etc).The third part of the book reveals the major political disputes that surround transnational water sources.The fourth part explores a few possible solutions and ways of thinking that have potential to ease the water stressed status that many parts of the world experience. de Villiers' book reads much like a series of case studies, with the occasional childhood memory thrown in the mix to remind the reader how the use of water has affected de Villiers his entire life.At points, it seems as though you are reading a personal account of de Villiers' travels and conversations with an assortment of people.If you are expecting a semi-scientific read, this will seem out of place and extraneous, but it does give the subject matter of the book (i.e. water crisis) a personal and human quality that makes the book more approachable to those who are not necessarily interested in a scientific read but are still interested in "the fate of our most precious resource. "Also, some of de Villiers' sentences are oddly constructed and require re-reading to get the intended flow and meaning correct.I felt that this detracted from the book's ability to keep my undivided attention. In Water, de Villiers is able to take information from scientific and historical studies and sum it all up in a way that is coherent and understandable to the average reader.For instance, all of the accounts of countries battling over water sources and rights to water throughout history are brought together in parallel comparison.de Villiers offers possible political solutions that are in concert with other literature and scientific papers. I would recommend Water to anyone looking for an ample account of the history of water usage and management as well as to those looking for the big picture behind the recent fuss about impending water shortages.This book is also a good resource to raise awareness for those that don't know much about the topic, and even a good read for those that are clueless as to why canals are built, etc.However, if you're looking for a book that enumerates solutions on the individual level, you won't find any in Water.de Villiers does get his facts straight though and presents information in a well organized, topic focused, and relevant manner. I had to read this for a class and I ended up buying it because I couldn't find it at the library and it was cheap enough on Amazon. I was pleasantly surprised that I enjoyed this book. This book is very informative, easy to read and kept me turning the pages...which is all I ask for in a book of this topic. If you're interested in this type of thing, I recommend this book. Are We on a Course Towards Disaster? Marq DeVilliers takes on a topic that affects each of us every day, and he brings it into perspective in a concise, tightly woven book. Written in the late 1990s, DeVilliers gives a snapshot of the problem emerging worldwide from overuse and pollution of fresh water. Without going over the top in his phrasing, he nevertheless brings the potential for a water apocalypse into view. 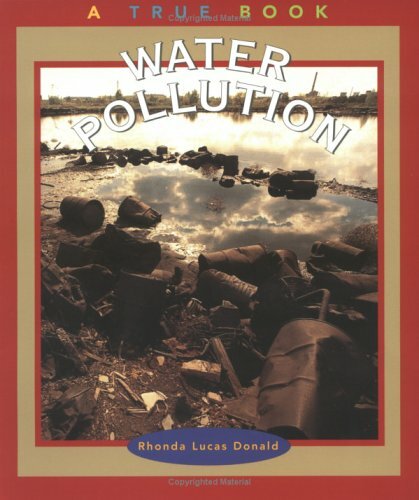 This book is a great introduction for a person interested in environmental issues. I would even suggest that it's worthy of inclusion on a college reading list, even though it's written for a general audience. Of course, college students today are not great scholars, so they would need supplemental information to even understand this book. My only reservations about the book are these. 1. It's now more than a decade old, so is it relevant? Have things become so much worse that this book doesn't really encapsulate the problem today? Or, conversely, have some of the political and technological solutions that DeVilliers discusses in the second half of the book actually started to solve the problem? Either way, this book cries out for a 2nd edition. 2. Given the dire circumstances depicted in "Water," I'm wondering why the crisis has not yet hit home. For example, I am aware that the US West and Rockies are fighting about water, in much the way that DeVilliers described in the book. But people seem to be getting by, and the West is still gaining population. Similarly, places with even greater stresses, such as Israel or China, seem to be functioning. Yet the book made it seem as if they were nearly at the breaking point. So, is the problem really as bad as his anecdotes about the Aral Sea and other parched areas make it seem? Regardless, this book is a very strong effort. It covers an important work with great breadth and useful depth. It's very readable. It makes passionate arguments, but it does so by using reason and data. For anyone who wants to get on the path of becoming a knowledgeable citizen of the world, this book is an important mile marker. - Climate change and weather; he provides an assessment of how humans most likely are figuring into climate change and how climate change seems to be affecting our long-term water supply. - Rerouting water (e.g. Aral Sea); he discusses how this sort of thing has changed local climates, killed off species, and ruined existing economic bases. - Dams; he covers some of the biggest issues with dams and whether or not they are as useful as we once thought. There is a fascinating section on the politics of water with a focus on the water-challenged Middle East that helped me understand some of the long-term conflicts in that area a little better. 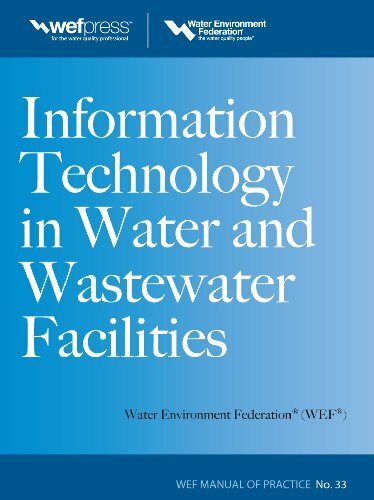 This Water Environment Federation resource presents an overview of the information technology (IT) systems, practices, and applications most relevant to utilities. Information Technology in Water and Wastewater Utilities covers strategic planning, IT program development, project management, infrastructure, security, organizational issues, success factors, and challenges. Six real-world case studies highlight specific technical details and illustrate the concepts presented in this authoritative guide. Brand new book in great condition, so no complaints there. 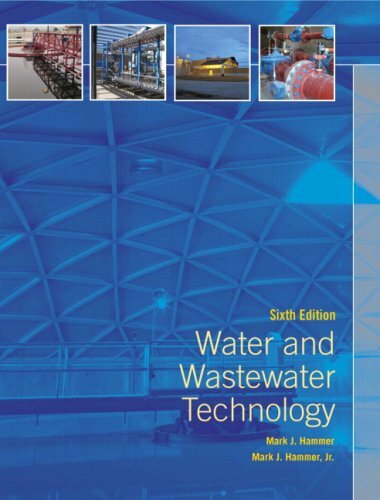 But if you are looking for a good book to learn about wastewater technology, i think there are much better ones out there than this one. Book is great and it covers all condensed material essential for water/wastwater/collection and distribution system. For the first time ordering an item off amazon it was easy.With this experience I will order again if the need arises.The book was in good shape.Overall it was a good experience. Water, water everywhere - with this in mind, the perennial question in water works remains: can the earth's finite supply of water resources be increased to meet the constantly growing demand? 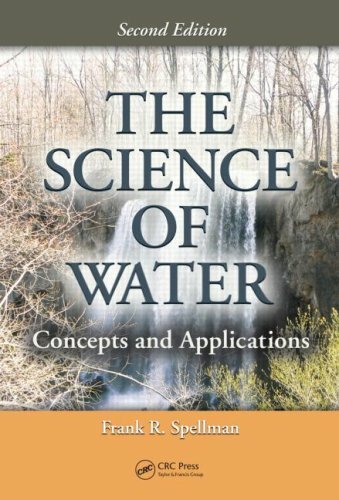 Hailed on its first publication as a masterful account of the state of water science, this second edition of the bestselling The Science of Water: Concepts and Applications puts the spotlight on the critical importance of water's role in future sustainability. Clearly written and user-friendly, this timely revision builds on the remarkable success of the first edition by updating, reorganizing, and revising the original to include the latest information and research results. The common thread woven through the fabric of this presentation is water resource utilization and its protection. It covers topics such as water sources, water hydraulics, chemistry, biology/microbiology, ecology, water quality, pollution, biomonitoring, sampling, testing, reuse, and treatment. 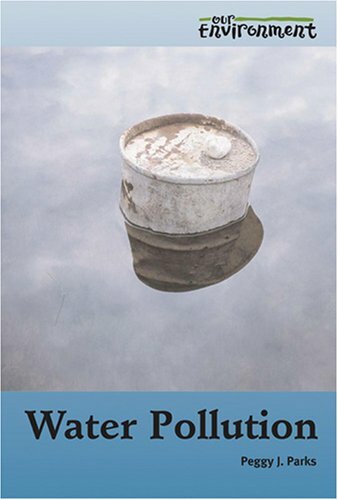 The author examines the impact of human use, misuse, and reuse of freshwater and wastewater on the overall water supply.